We believe that this is the ONLY Wedding Awards that will be awarded solely upon the public vote. What is more, it gives you a chance to win a holiday to the MALDIVES!! So, why not cast a vote? 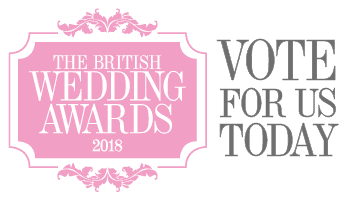 We have entries for Best Bridal Retailer (or Best Bridal Boutique) and Best Newcomer. Bit surprised that we are still considered a ‘newcomer’ but, who’s arguing? And, why not give us some suggestions on how we can get better? So, if you have suggestions, please feel free to leave a comment below!